This free-form amino acid supplement could support normal dilation of blood vessels, boost your immune system and more. L-arginine is a semi-essential amino acid that we typically get from eating meat and dairy in our diet. It may be especially helpful for heart health including the condition of your blood vessels. That's because your body converts L-arginine into nitric oxide, which promotes improved circulation as it causes blood vessels to open wider. 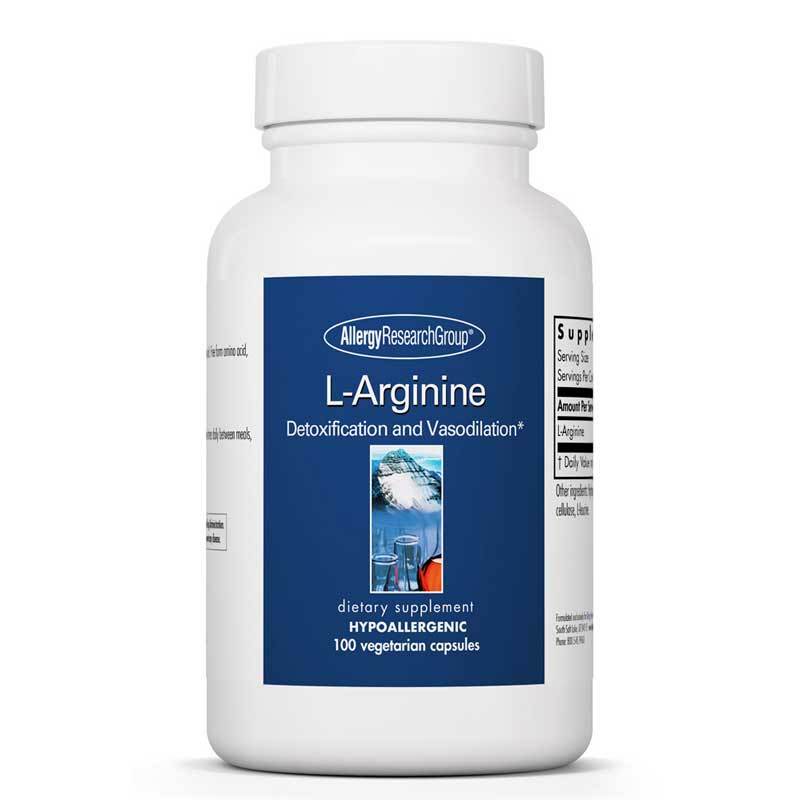 L-arginine could also stimulates the release of growth hormone and insulin in your body. Allergy Research offers its L-Arginine supplement for circulatory and overall health. 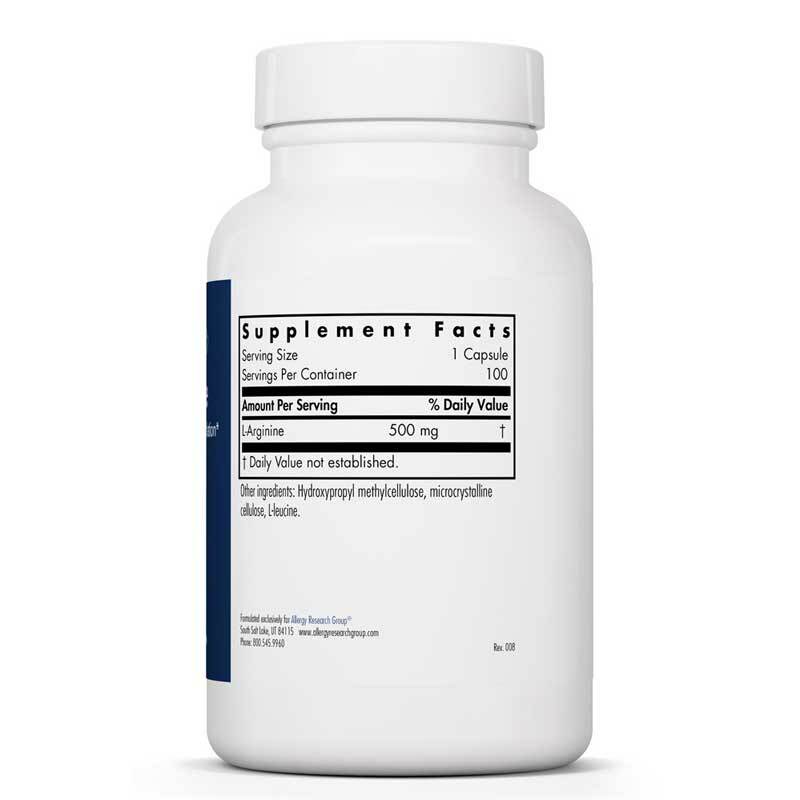 The ingredients used to formulate this supplement are of the highest quality and purity obtainable. It does not contain any preservatives, diluents, or artificial additives. 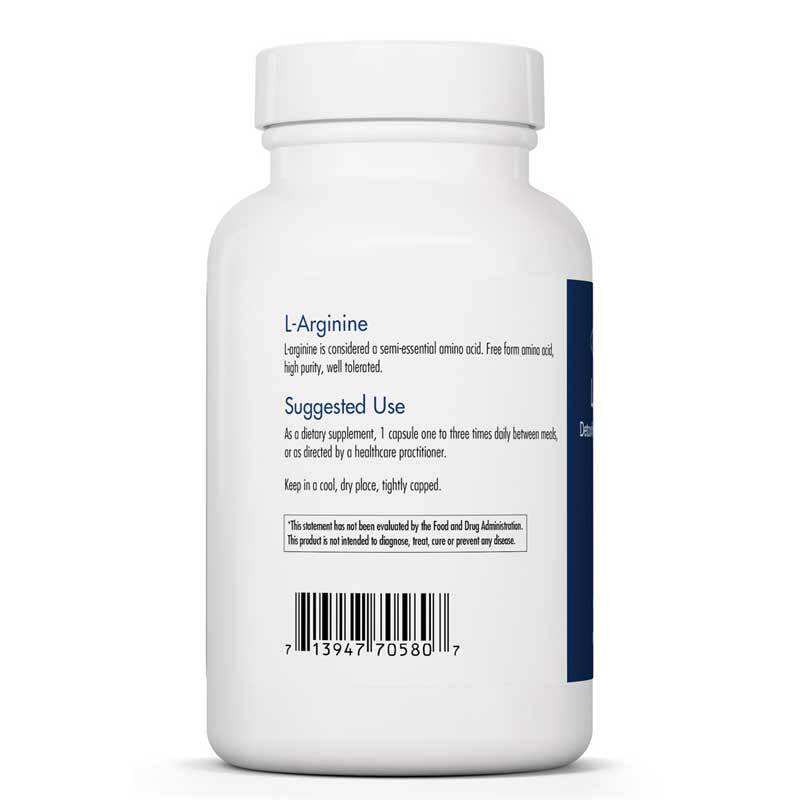 Choose L-Arginine by Allergy Research today. Adults: As a dietary supplement, 1 capsule one to three times daily between meals, or as directed by a health practitioner.